Fine Gael TD for Kildare South Martin Heydon has welcomed progress on the promised playground for Caragh as Kildare County Council have confirmed that the tender seeking contractors to design and build the playground has been issued. 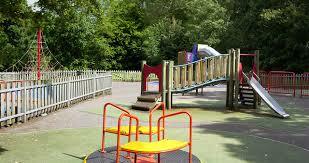 “This is a significant move in plans to see a playground constructed in Caragh. Following agreement on the site which will be a parish owned field at the back of the school in Caragh, this is the next important step. “My colleague Cllr Fintan Brett has been working consistently with Kildare County Council and the community on this project and he advises me that the deadlines for tenders to be returned is 11th May. “From then, there will be a Part VIII planning process following which it is hoped that construction can commence by Quarter 3 2018.